I'm super excited to announce my new game - Bucket Detective - coming on February 16th. My programmer and I have been working on it for about a year and a half (between day jobs and school) and it's finally ready! 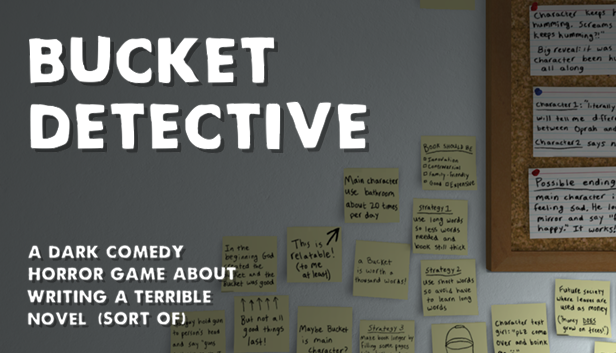 If you like our last game, the static speaks my name, I think you're really gonna love Bucket Detective. It's a similar genre/mood to the static speaks my name, but it's bigger, with more story, and with a lot more polish. 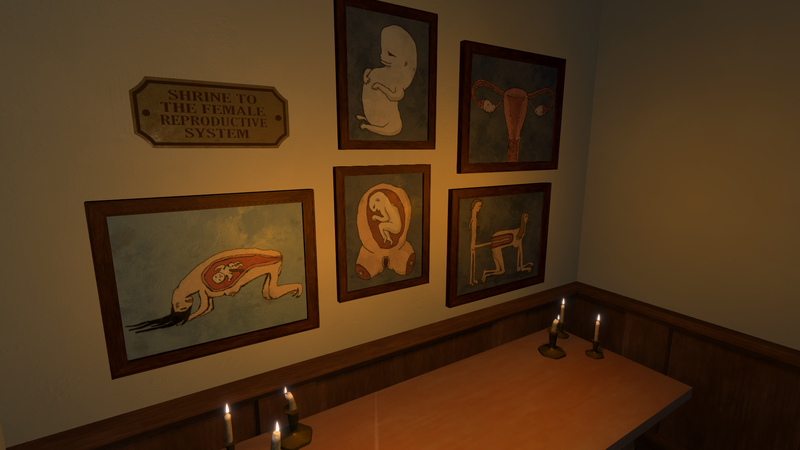 It's also weirder and darker and I think it's the best game I've ever made. The game will cost $3.99 (depending on your country the price may vary slightly). In playtests players have gotten at least 45-60 minutes of solid enjoyment out of it (more if they try to unlock all the endings). We're also gonna have developer audio commentary about the making of the game to reeeaallly give you your money's worth. Hi! Quick question. Would you be interested in having a booth for a convention in maryland? I am the vice president of my anime club and and helping create my colleges convention harcon. I'm not sure how far away you are though. I'm definitely interested, but when is it happening? Currently I'm living in Finland, so that's quite far from Maryland, but maybe if it's near the next time I'm in the US we could make it work?